Being born and raised in White Rock/South Surrey it didn't take long to realize I wanted to work in this West Coast paradise. 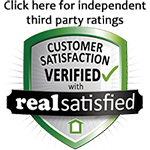 I'm a 2nd generation realtor and have been licensed since 1996 with the same top brokerage, HomeLife Benchmark Realty Corp. I have won numerous company and national awards, however; the greatest satisfaction is seeing my clients in the home of their dreams . My Mother, Brother, Grandparents and Great-Grandparents have lived in the area since 1939. Ted Kuhn Senior Citizens Tower, named after one of my Great Grandfathers is the 1st Surrey Highrise project built in partnership with The Government of Canada for rentals to Seniors. Kuhn Creek, which also bears his name, can be found running through the local Hazelmere Golf Course into the Little Campbell River.